Why have a CASI sanctioned chili cookoff? The benefits of having a sanctioned CASI event are abundant. The Chili Appreciation Society International (CASI) is the world's largest organization of chili and contest enthusiasts. CASI sanctions nearly 500 contests, judging over 15,000 cups of chili, across the U.S. annually. CASI is the largest chili cookoff sanctioning entity that is a registered non-profit corporation and a federally recognized 501(c)(3) charity. What does CASI provide to a CASI Sanctioned Contest? Advertising - Listing in the Terlingua Trails event listing; part of the sanctioning fees. Larger ads may be purchased to spotlight your event. Assistance - Regional or Area Referee will be assigned to your event to observe and answer questions. Judging Cup Tickets - Contestant judging cup tickets are available upon request. Terlingua Trails - Additional copies are available upon request. Judging Tally Program - Hill Country Software’s proprietary program for tallying scores can be downloaded. Fair Judging Rules - CASI's Proprietary uniform rules for the competition available online. Cookoff Forms - All cookoff forms are available online. What are the CASI fees to have an event to be a CASI Sanctioned Contest? Event registration/administrative fee is $25.00. ​​​The sanctioning fees for the event is $4.00 per registered cook. 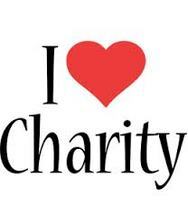 ​This fee assist CASI in maintaining the day-to-day operation of the organization and assists in our charitable mission. That is it....a simple fee schedule. These fees are payable on the day of the event and will be collected by the assigned referee, along with the official CASI forms for recording the event winners. Some events start off non-sanctioned and work toward being sanctioned; but generally, if you start off as a CASI sanctioned event your contest will run smoother, have more trust from the teams and have a higher success rate. A non-sanctioned event is usually not supported by teams if they are not aligned with a proven entity. However sanctioning alone cannot guaranty the number of teams competing or the success of your event; so be prepared to work hard to make your event a success and CASI will be there by your side to assist. If you have additional questions or need additional information, please contact CASI's Executive Director by clicking on the Contact button. Fill in the form and a direct email will be sent to the Executive Director.